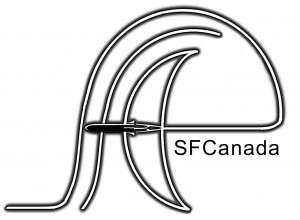 SF Canada will be sponsoring a Dealer Table at Vancouver’s Convention of Science Fiction and Fantasy again this year, and a party for members at an undisclosed location. Books by members will be on display and/or for sale from September 30 – October 2 at Sheraton Vancouver Airport Hotel. Complete convention information is available from VCON.